Huh, I’ve never seen that before. That was my reaction when I first saw the new 360-degree Rylo video camera in action. 360-degree cameras are nothing new, and I’m rarely impressed by the VR content produced by these devices. But with a handful of crafty software tricks, Rylo ($499 at Rylo.com) rises well above the fray. 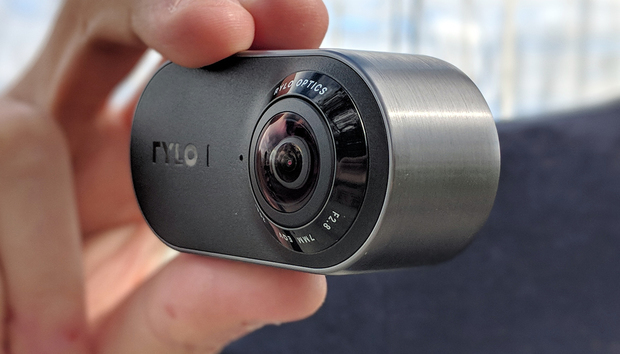 Rylo is small enough to sit in the palm of your hand, and comes with dual 4K video cameras (though when you opt for a traditional video window instead of a 360-degree experience, your resolution will be 1080p.) Each lens captures a 208-degree field of view, and has an f/2.8 fixed aperture. It’s all pretty standard stuff until you fire up the Rylo app (currently iOS only), and begin viewing—and manipulating—what’s you’ve recorded. 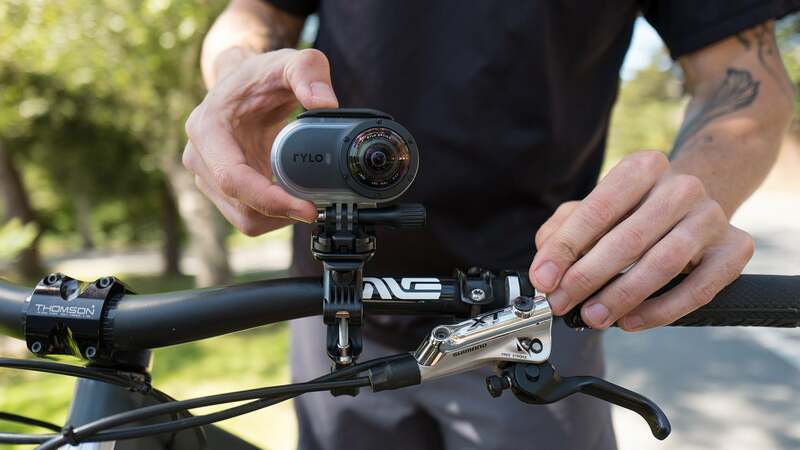 When Rylo shoots video, it captures everything that’s happening around you, front and back, up and down. The software uses all this content to impressive effect, letting you edit standard-frame videos directly in the mobile app as if you were a director working with shots from multiple camera angles. For example, using the app’s Points tool, you can seamlessly pan from one person or object in the 360-degree video sphere to another person or object. It’s a simple matter of assigning start and end points to various sections of the capture space. Rylo’s software will then do all the heavy lifting, panning perfectly from point to point to point. In Rylo’s demo video above, this is illustrated to great effect on the rollercoaster: At first you see the front-facing POV of the riders, but then the shot gracefully pans to a backward-facing selfie of the riders. Using the same software tricks, FrontBack mode inserts a picture-in-picture window inside the 1080p video frame. In the image below, we see how this captures a selfie while snorkeling (and, yes, Rylo is waterproof if you buy an optional protective case). Rylo’s FrontBack mode inserts a picture-in-picture image—yet you don’t even need two camera shots to do this. Rylo’s Follow tool lets you lock on a specific target in your video frame—say, your dog running down the beach—and then will automatically adjust the camera’s orientation to keep your dog in the center of the shot. But image stabilization may be Rylo’s most impressive trick. 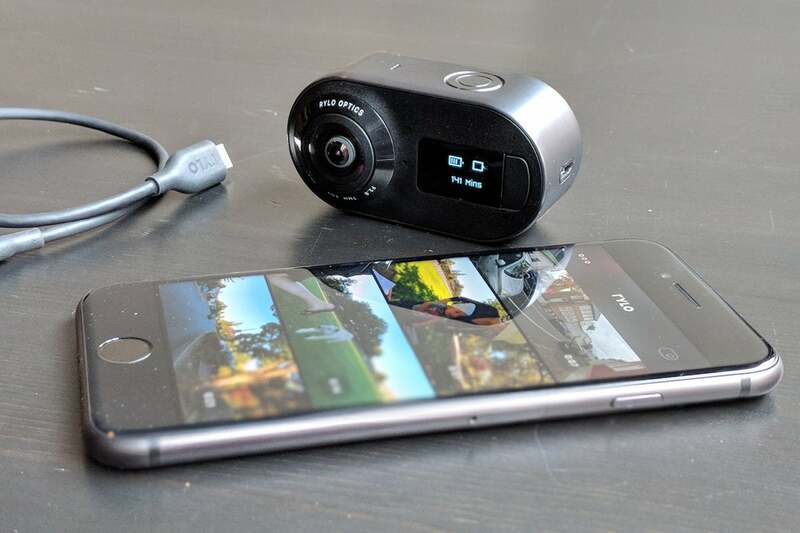 Eschewing hardware (that is: optical) image stabilization entirely, Rylo uses a pure software approach to eliminatecamera shake, and the results are spectacular. The corrected video is amazingly smooth, and you can also adjust the tilt of horizon leveling directly in the app. I was also impressed by Rylo’s fisheye lens distortion correction. And, again, it’s all done in software. Speaking of which, the software looks incredibly easy to use—like Instagram- and iPhoto-easy, which makes sense given one Rylo co-founder (Alex Karpenko) helped launch Instagram video, and the other co-founder (Chris Cunningham) helped build iPhoto for iOS. The app interface is entirely gesture-based (taps and swipes), and you can instantly share edited videos via Instagram, Facebook and messaging. Currently only availble for iOS, the Rylo app lets you “direct” a movie, choosing multiple points of view, and then quickly upload your finished result to social media. Video is stored on microSD—a 16GB card comes in the box along with a rechargeable Li-ion battery, charge cable, and protective pouch. The battery is rated for 60 minutes of continuous recording time. It’s a bummer the Rylo app is currently iOS-only. And $500 is a high price to pay a consumer-grade 360-degree camera. But don’t think of Rylo as one of those novelty VR experiences (though it can capture 360-degree immersive footage if that’s your preference). Rather, Rylo is sort of like a multi-camera production crew in a palm-sized package. And that electronic image stabilization is a site to behold. « Wireless charging explained: What is it and how does it work?